Cara Delevingne by Unknown and Lauren Marie Hill Backstage at Alberta Ferretti. 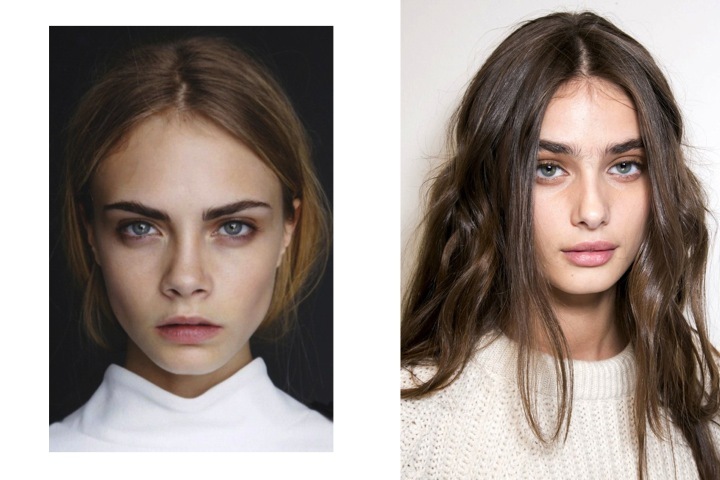 What started with Cara Delevingne has now become a wide spread epidemic. Call me an anarchist, because I am in revolt of the tame brows of yesteryear. The character filled features we have long abused into submission are taking their stand, and they’re taking us with them. Lily Collins Courtesy of Teen Vogue and Sarah Hyland Unknown. When Miss Cara first landed on the runway, the first thing everyone noticed were her dark and full brows. They were somehow this extension of her quirky personality that everyone was drawn to. We then started seeing bolder brows pop up all over the celebrity community. 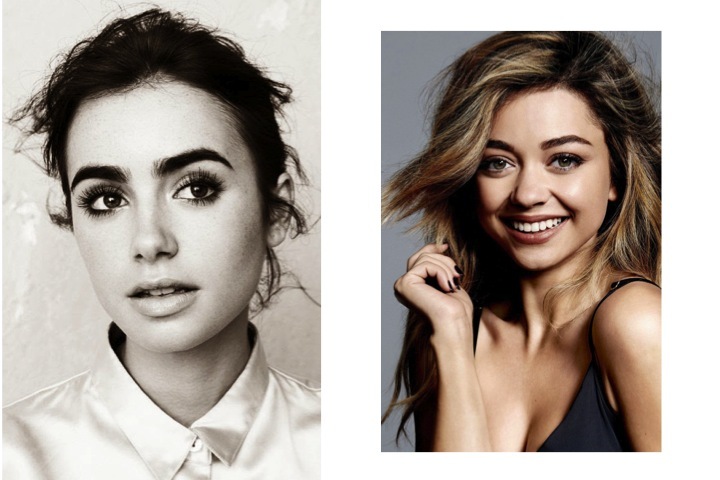 From leading ladies like Lilly Collins to sitcom sweetheart Sarah Hyland. Actress Mila Kunis’ natural brows add to her sultry look, whereas Wonderland Magazine added brows of steel to Taylor Swifts cover shoot. More recently, a fresh set of lushes eyebrows were added to the famed Victoria’s Secret Angel gang, Miss Lauren Marie Hill. Lauren is taking the brow game to a whole new level by rocking completely unmaintained brows resulting in heavy upper-eyes and even a slight uni-brow (which she makes look like a million bucks). 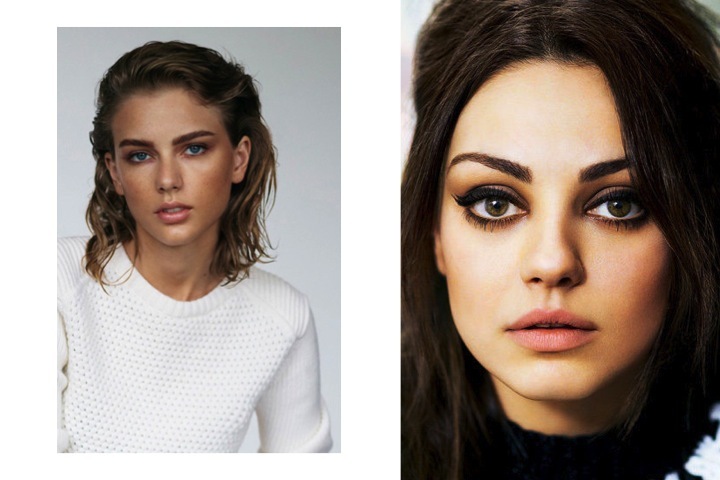 Taylor Swift Courtesy of Wonderland Magazine and Mila Kunis Courtesy of Glamour. How is the beauty industry responding to this new trend? Well, enter any makeup store and the answer is clear. After Anastasia Beverly Hills became an overnight sensation with their “Brow Wiz” pencil ($21), every brand is trying to mimic the success. Whether you choose to grab a drugstore find from Rimmel London “Professional Eyebrow Pencil” ($4), grab a classic like Benefit “Gimme Brow” gel ($24) or splurge on a luxury brand like Dolce & Gabbana’s “The Brow Liner” ($45), you are sold the dream of looking like Cara Delevingne. What do you ladies think of bold brows? Take the poll! Posted in Beauty, Culture and tagged alberta feretti, Anastasia Beverly Hills, beauty trends, Benefit, Benefit Cosmetics, big eyebrows, bold brows, brow gel, brow liner, brow pencil, brow wiz, brows, brunette brows, Cara Delevingne, celebrity beauty, celebrity brows, celebrity trends, dolce & Gabbana, eye brows, gimme brow, glamour, Hometown Heroine, Jennifer Lieskovan, lauren marie hill, lily collins, mill kunis, professional eyebrow pencil, rimmel london, sarah hyland, taylor swift, teen vogue, the brow liner, thick brows, trendy eyebrows, wonderland. Bookmark the permalink.